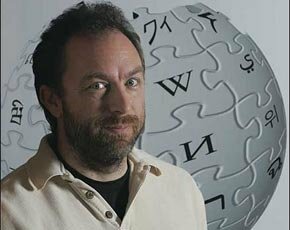 Wikipedia co-founder Jimmy Wales is to help the government make taxpayer-funded research in the UK freely available to the public online. Jimmy Wales will assist the Department for Business, Innovation and Skills and the UK research councils to develop new ways to store and distribute research data and articles. He will also advise the research councils on the £2m Gateway to Research project, a website that will link to publicly funded UK research all over the web. In the longer term, Wales will help set up the next generation of open-access platforms for UK researchers and advise on the format in which academic papers should be published. The initiative is to be announced by the universities and science minister, David Willetts, in a speech to the Publishers Association on 2 May 2012, according to the Guardian. The initiative, expected to be up and running within two years, will support a growing campaign among academics and research funders for open access in academic publishing, the paper said. Most academic research is currently published by costly journals, but almost 11,000 researchers have signed up to a boycott of journals owned by academic publisher Elsevier. In the US, Harvard University is encouraging faculty members to make their research freely available through open access journals and to resign from publications that keep articles behind paywalls. "Giving people the right to roam freely over publicly funded research will usher in a new era of academic discovery and collaboration, and will put the UK at the very forefront of open research," Willetts told the Guardian.